I am so excited to finally launch my product line Blissikins. 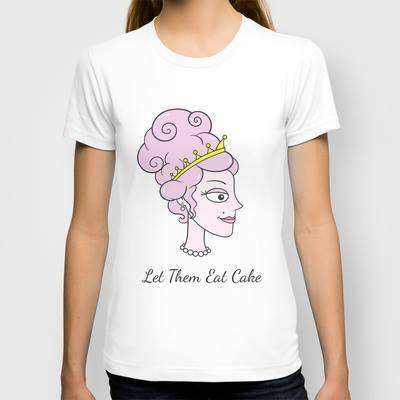 I have taken my inspiration from the Mitford girls and the whimsical deb era. I am planning more designs. I hope you like them! You can click on the images to view the individual products. 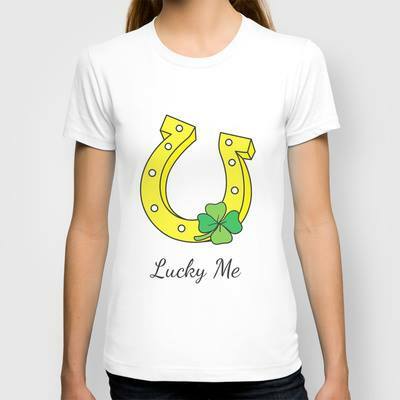 T- Shirts come in a variety of different colours and are available in a V neck option. I’ve added a select few on here but please click here to visit the entire product range. You can also visit the facebook page by clicking here. The forthcoming publication of Lady Ursula’s memoirs, The Girl With The Widow’s Peak, will appeal to admirers of Mitfordiana. Born in 1916 to the Marquess and Marchioness of Granby, Lady Ursula’s memoirs recall a gilded age at the centre of high society. Recalling her childhood spent at Belvoir Castle in Leicestershire, the rigid formalities of liveried servants, maids and the ‘pig man’ are reminiscent of Downton Abbey. Following her father’s ascent to the Dukedom of Rutland in 1925, Lady Ursula writes about the extensive restoration of another Manners’ family seat, the medieval Haddon Hall in Derbyshire. Fans of Debo and the restoration of Chatsworth are sure to enjoy this section of the book! 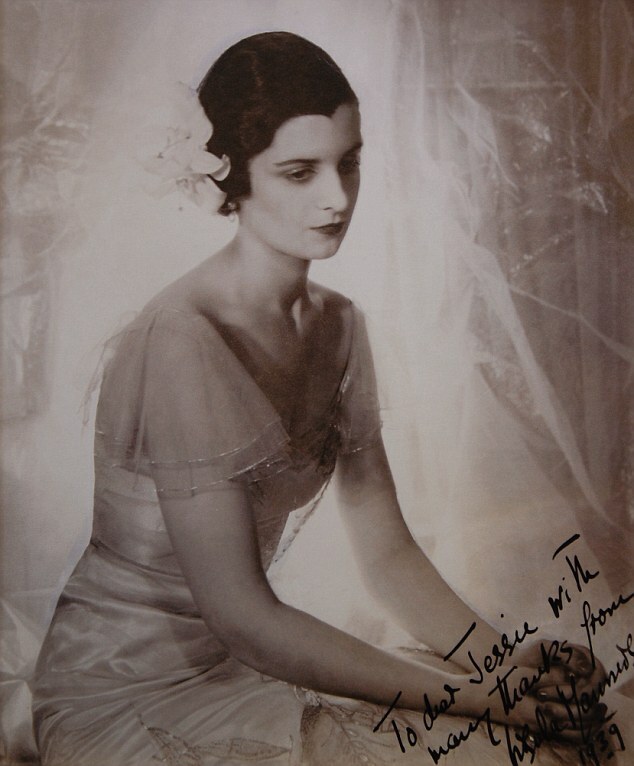 In 1934, Lady Ursula was presented at Court and three years later, she swapped her Prince of Wales feathers for a Norman Hartnell gown when she acted as one of the six maids of honour in the Coronation of King George VI. 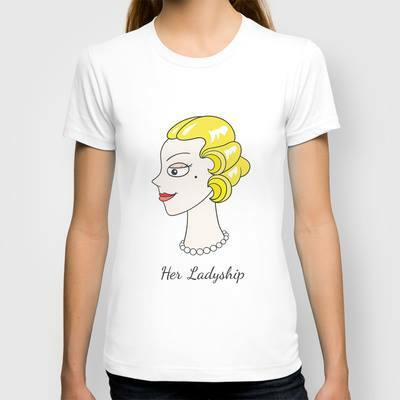 After the Coronation, Lady Ursula writes, she was recognised everywhere. With her striking black hair, pale skin and distinctive widow’s peak, it is not difficult to see how her beauty would have turned heads. 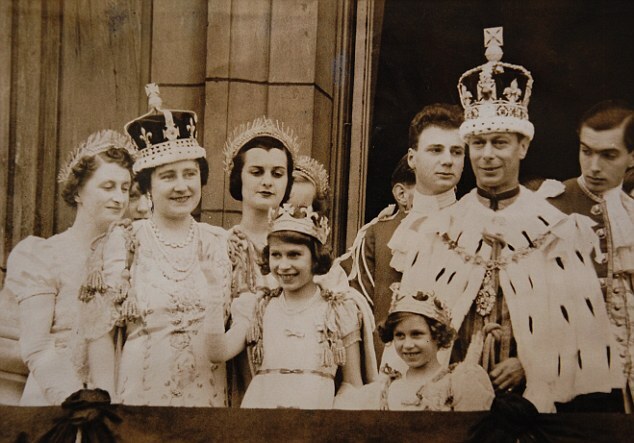 In 1938, she accompanied the new King and Queen on their first state visit to Paris and Versailles. A year later, and with the outbreak of war, Lady Ursula stepped away from her glamorous life and into the role of nurse in the Voluntary Aid Detachment. She then took charge of 2,000 women making bullets in a munitions factory in Springfield, Grantham. Those who enjoyed John Julius Norwich’s book Darling Monster will appreciate the letters included in this memoir, sent by Diana Cooper detailing Lady Ursula’s wartime work to her son. 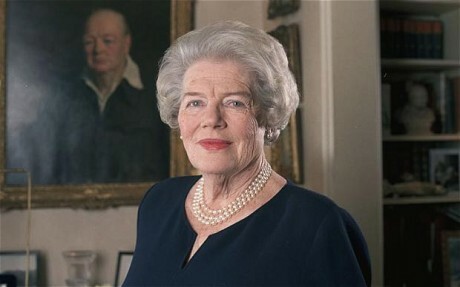 As with any fascinating memoir, Lady Ursula touches on her extraordinary friendships, and such friends included the artist Rex Whistler, the Maharaja of Jaipur, Paul Getty and Baron Hans Heinrich von Thyssen. But unlike the fabrication of Downton Abbey, Lady Ursula’s account is entirely real. After the war and a brief marriage to Anthony Marreco, Lady Ursula went to India. She married Edward d’Abo in 1951 and settled down to family life at West Wratting Park in Cambridgeshire, with two sons and a daughter. Lady Ursula is now 97 and lives in London. Empty Mansions is a rich mystery of wealth and loss, connecting the Gilded Age opulence of nineteenth-century America with a twenty-first-century battle over a $300 million inheritance. At its heart is a reclusive heiress named Huguette Clark, a woman so secretive that, at the time of her death at age 104, no new photograph of her had been seen in decades. Though she owned palatial homes in California, New York, and Connecticut, why had she lived for twenty years in a simple hospital room, despite being in excellent health? Why were her valuables being sold off? Was she in control of her fortune, or controlled by those managing her money? The beginning of Empty Mansions charts the ambitious story of W.A. Clark, a young man descended from Northern Irish immigrants, born in a log cabin in Pennsylvania. Clark and his many siblings worked on their parents’ farm, but out of them all, he became the most entrepreneurial. He transported goods by horse and cart, opened a store, sold his produce for a vast profit, closed his store and re-opened a new one. In winter the peaches he was transporting froze, so Clark re-thought his strategy and marketed them as frozen peaches. All of them sold. At the age of 17, Clark accompanied his father to Iowa to help till the land before chasing the gold rush to Montana. In the 1870s , Clark discovered copper veins in his Butte mines, which started producing eight million pounds of copper per month, just as demand was skyrocketing thanks to the recently invented telephone. As the money poured in, Clark invested it. He took risks, and instead of resting on his (rich) laurels, he sought business ventures further afield. He built a railway from Salt Lake City to Los Angeles, where he chose a Nevada outpost as a refueling stop, which was incorporated as Las Vegas. Success followed him wherever he went, because he got what he wanted at any cost, and he even bribed his way into a senate seat. Clark was lucky in business but not in his personal life. Married to his childhood friend, Catherine Stauffer, they had seven children – two died in infancy and a son, Paul, died at the age of 16. His beloved wife then died suddenly at the age of 53. Clark was lonely, and he became the benefactor of a beautiful teenager in Butte, Anna La Chapelle. He sent her to Paris to pursue her musical studies (she was a talented harpist), and often crossed the ocean to visit her. Soon, they started a secret relationship. 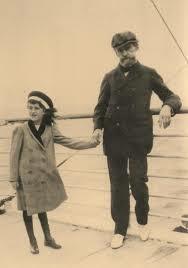 At 39 years his junior, Anna was younger than Clark’s eldest children. 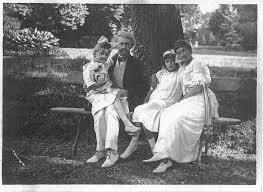 Following the birth of Andree in 1902, and Huguette in 1906, Clark issued a statement that he and Anna had married in France in 1901. Anna was 23 and Clark was 62. The marriage was believed to be a sham, and no wedding certificate manifested – the reason for this, he explained, was that the ceremony was religious. Many had their doubts and it was the beginning of a life touched by scandal. 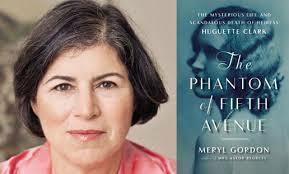 As I have already mentioned in Part One, Meryl Gordon’s The Phantom of Fifth Avenue explores the relationship between Andree and Huguette in detail. That is not to say Empty Mansions does not undertake a similar analysis. All in all, Empty Mansions is a more in-depth read. The clue to the book’s content is its co-writer Paul Clark Newell, Jr. who was Huguette’s distant cousin, though as is the norm in large families, Huguette liked to be referred as ‘Tante’ Huguette. Tante, French for Aunt, was a relic of Huguette’s Parisian birth, and as though to pay homage to this, she spoke with a slight French accent all of her life. Newell also includes various transcripts of his conversations with Huguette which are randomly dotted around the text. She seemed a charming woman, interested in everybody else, reluctant to talk about herself unless asked to, and as Newell confides, often ended a conversation rather abruptly with a ‘Well I’ve kept you long enough….’ Part of her enigma was self-inflicted – she never gave out her phone number – and although it added an air of mystery and a strong desire for privacy, it would also throw obstacles in the pathway of those who tried to overthrow the hangers-on in her later years. 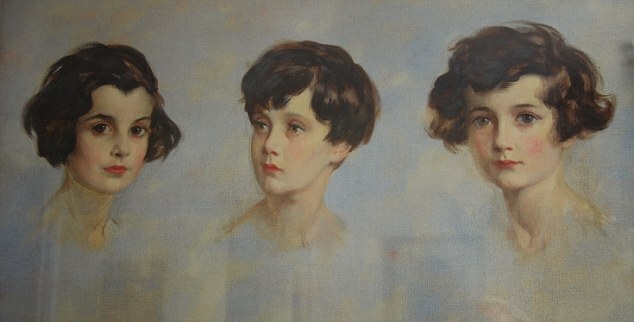 Part of Huguette’s reluctance to establish intimate relationships with her half-nieces and nephews was due to their parents and grandparents – Huguette’s half-siblings- who were not welcoming to her mother, Anna, and they treated their much younger stepmother and two half-siblings with an air of detachment. She became friendly with her two half-nieces, close in age to her, with whom she attended the progressive Spence School in Manhattan. Interestingly enough, Edith Bouvier-Beale was a pupil at the Spence School, though several years below Huguette. It could be said that Huguette was much closer to her Godchildren and their families, however, even those beloved Godchildren were kept at arm’s length in her later years. 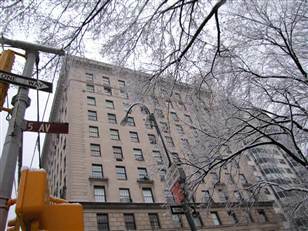 They knew she was in the dingy hospital room, that her Fifth Avenue apartment lay vacant, and that her caregivers were taking her money. But they felt at a loss to intervene, given that Huguette’s lawyers would step in and impose their authority over Huguette, and that the hospital ruled with a firm hand and could, at any moment, refuse them entry to visit Huguette. It was a distressing situation for those who cared about her. Empty Mansions charts Huguette’s generous spending habit, which in her later years, was directed towards her caregivers – mainly to the hospital and Hadassah Peri. Granted Peri gave her life to Huguette, but the letters included in the book do not sit easy with me. Peri’s entire family seem to be bleeding Huguette dry for cash gifts from television sets, college education to cars, apartments and expensive holidays. Peri’s son, for instance, writes to Huguette and in a roundabout way brazenly hints that he would like a car. Huguette responded and a car was bought. This, to me, is a form of robbery. The hospital, too, were often fishing for generous donations, using scaremongering tactics (it was on its last legs etc) which prompted Huguette to reach for her cheque book. Memos included in the book show that doctors were pressing other members of staff to keep Huguette focused on the topic of donations. Ransom would be a more appropriate word. The authors, too, break down Huguette’s tax and how much those financial ‘gifts’ were costing her – and for non-Americans such as myself, the complex tax system was explained. Sadder still, her treasured paintings were stolen from the walls of her apartment, and Citibank, the New York bank in which she kept her mother’s valuable jewels, was cleared out. Somebody on the inside knew too much and as distressing as it was to Huguette, she never received an answer or experienced justice for those thefts. As the title hints, empty mansions is the topic of the story. As Huguette existed in a run-down hospital room, palatial mansions lay empty, manned with an army of servants who remained on the payroll until Huguette’s death. The mansion in Santa Barbara had not been visited by Huguette since 1953, but she kept a full staff and requested the house be kept in first-class condition should she wish to make a visit. Hundreds of bound leather books are still there, including works by Dante, Homer, Virgil, Maupassant, Dickens, Voltaire, Faust, Milton and Conrad. Click on the title to view photographs of the mansion. In her later years Huguette stopped visiting Bellosguardo because it brought back memories of her mother, which, she confessed, made her sad. 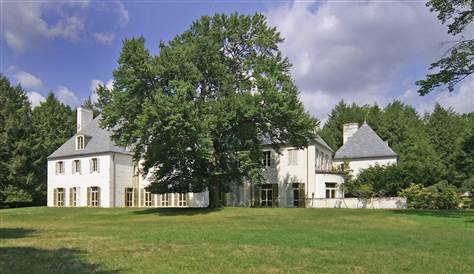 In 1951, Huguette purchased a mansion in New Canaan, Connecticut, as an escape from New York during the height of nuclear attack paranoia. She never visited and aside from its custom designed staircase, the spindles of which are carved into paintbrushes, she never bothered to furnish it. There was no bell or intercom, but if one wanted to visit the big house, one could rap on the air conditioning unit of the caretaker, Tony Ruggiero, a former boxer in his eight decade. The forty-two room apartment spanning the entire 8th floor had not been resided in for over two decades. Its walls were still decorated with original artwork and the rooms furnished in the finest French furniture. Although Huguette remained absent, a housekeeper still arrived every morning to dust the rooms. The apartment held Huguette’s famous doll collection and the empty rooms held her papers, all sorted individually. Huguette also maintained her mother’s apartment in the same building on the 12th floor. When she married Bill Gower, Huguette made a will and had bequeathed everything to her mother. Another will was not made until 2005, and within six weeks, she signed two very different versions. Death, to Huguette, was a painful subject and she avoided the term completely, often using euphemisms such as ‘the end’. A will would have forced Huguette to acknowledge her own mortality. In one will, Huguette left her fortune to be divided among her extended family. In the up-to-date will, she had disinherited her family and had left everything to the hospital and her caregivers amongst others. When she died in 2011, Huguette was interned at the family Mausoleum in Woodlawn Cemetery in the Bronx. Although at rest, Huguette’s estate became embroiled in a very public legal battle that would not be settled until September 2013. You can read more about the court’s ruling here. 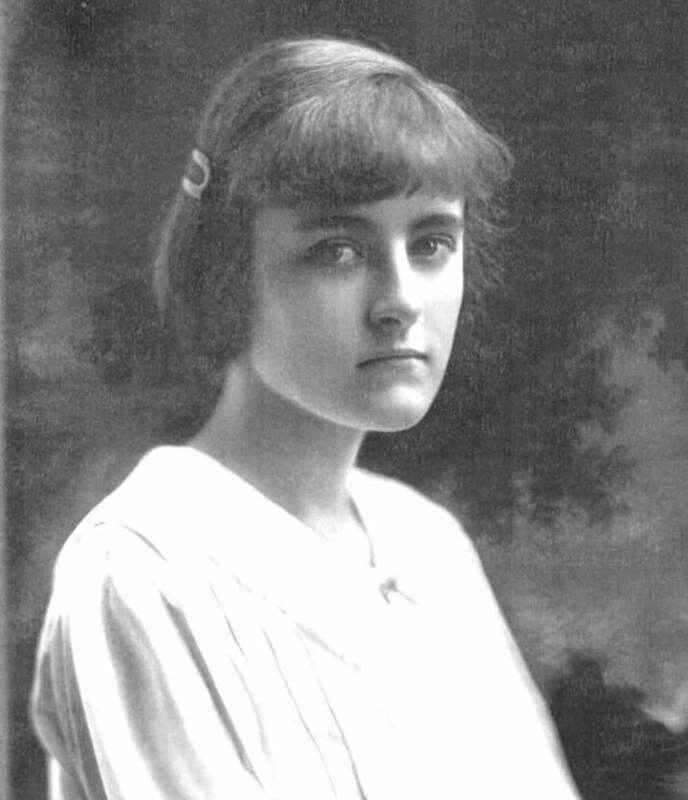 Huguette’s relative, Clare Albert, one of the few who did not wish to profit from the estate, stated: ‘Altogether, I find the prospect of challenging my Aunt Huguette’s will to be disrespectful of what could be her true wishes, an impoite act not in accorance with my values.’ As a very private person, Huguette would have abhorred her estate being under the glare of the American media. But perhaps in death she has become an advocate for those who are abused by their caretakers. Poor, or wealthy, she is an example of a vulnerable person who was mishandled, manipulated and mistreated by the people she trusted most. The book’s website is an insightful resource. Click here to visit. Born in 1906, Huguette Clark grew up in her family’s 121 Beaux Arts mansion in New York and was one of the leading celebrities of her day. Her father William Andrews Clark, was a copper magnate, the second richest man in America, and not above bribing his way into the senate. Huguette attended the coronation of King George V. And at twenty-two with a personal fortune of $50 million to her name, she married a Princeton man and childhood friend William MacDonald Gower. Two years later the couple divorced. 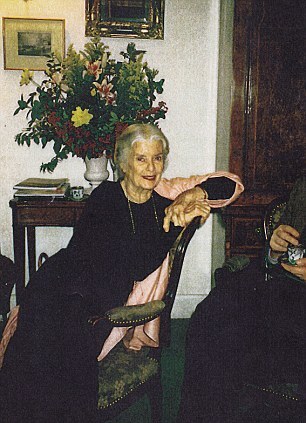 After a series of failed romances, Huguette began to withdraw from society — first living with her mother in a kind of Grey Gardens isolation and then as a modern-day Miss Havisham, spending her days in a vast apartment overlooking Central Park, eating crackers and watching The Flintstones with only servants for company. All her money and all her real estate could not protect her in her later life from being manipulated by shady hangers-on and hospitals that were only too happy to admit (and bill) a healthy woman. But what happened to Huguette that turned a vivacious, young socialite into a recluse? And what was her life like inside that gilded, copper cage? 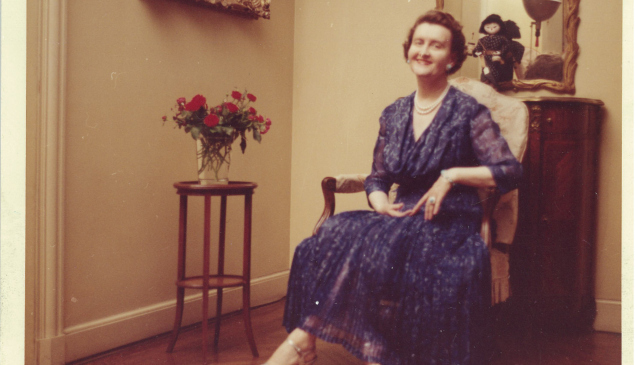 To say Huguette Clark’s childhood was privileged would be an understatement. 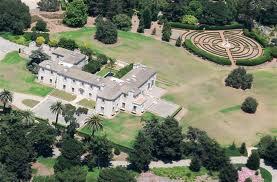 As the daughter of the second richest man in America, her family’s opulent lifestyle was funded by W.A. Clark’s copper mines in Butte. Huguette was born in Paris in 1904 and raised in Beaux Arts, the largest private residence in New York City – the family mansion boasted 4 art galleries and had its own underground railway for transporting coal. 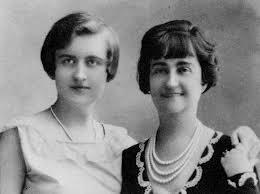 But all of the family’s millions could not divert tragedy, when in 1919, Huguette’s beloved older sister and constant companion, Andree, died of meningitis. By the age of eighteen, Huguette’s elderly father had died and estranged (for lack of a better word) from her half-sibling’s from her father’s first marriage, she and her mother, Anna, formed an almost co-dependent relationship. The strength of this book lies in Meryl Gordon’s ability to explore Huguette’s ties to her family, for despite the servants, tutors and trips, her parents and sister were a tight-knit family. Following a marriage to Bill Gower in 1928, Huguette supposedly decided marriage was not for her, and after the couple spent a disastrous honeymoon, she returned home to her mother. Rather poignantly, the last public photograph of Huguette was taken on her honeymoon. To the public and press who followed her story, she simply disappeared. But that is not to say Huguette lived a sad existence. 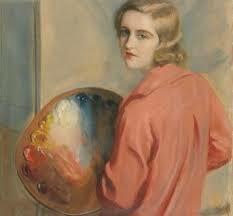 She was a talented painter, tutored by the renowned artist Tade Styka, and harbouring an infatuation for her tutor, she was heartbroken when he married Doris Ford. An early example of Huguette’s good nature shines through, when following the birth of their first child in 1943, she agreed to be godmother. In the 1960s Huguette became dedicated to hiding. In 1963, when Anna died, she inherited her mother’s jewellery, paintings, furniture and real estate. At the age of 57, without her sole companion, Huguette retreated from society. In 1968, she was last seen by relatives at the funeral of her half-niece and childhood friend Katherine Morris Hass. It was those such relatives who became curious of their reclusive aunt, and who tried to piece together the puzzle of her disappearance, and who would ultimately fight for a share of her $300 million fortune. For the next two decades, Huguette hid in her sprawling apartment overlooking Central Park. Her days were filled by watching the Flintstones and The Smurfs. But this was not to say Huguette was mentally challenged (as her caregivers lead outsiders to believe). This love of watching cartoons was the subject of a deep fascination with animation and she studied it as an art form, capturing stills directly from her television screen and putting them together to see how the images came to life. She also photographed life stills from her apartment window and every year Huguette would get dressed up and snap a self portrait using the self-timer. It was not only paintings and photography that Huguette loved, she also held a deep admiration for dolls, especially of the Japanese variety. The craftsmanship in forming the dolls and the painting of their faces and delicate detail of their costumes enchanted her and she felt content around her luxury collectables, all bought from auction catalogues for a king’s ransom. Every Christmas, Huguette purchased hundreds of French dolls from a store in New York and personally hand-wrapped each one for orphaned children. She hoped the beautiful dolls would bring joy to others, too. This was a woman who enjoyed her own company amongst her collectibles and who clearly possessed a generous spirit. Having grown up with wealth and never having to work a day in her life, you could say Huguette did not know the value of money. And it was this unawareness that others preyed on…. In 1991, Huguette was admitted to Beth Israel North for an advanced case of skin cancer, which required multiple surgeries, including plastic surgery to repair the damage of years without treatment. She was never discharged, and for the next twenty years Huguette emerged only once, when the hospital closed in 2004 and she was moved downtown to Beth Israel. Without insurance, she paid for everything out of her own pocket and by 2007 her hospital living expenses were $5 million per year. It was during this time in which Huguette hired a private nurse, Hadassah Peri to work 12 hours per day, 7 days per week. Despite the extreme schedule of care giving, with a husband and three children at home, Peri was rewarded handsomely over the next twenty years, receiving a total of $31 million in houses, cars, jewellery and cash. Huguette also hired a night nurse for an 11 hour shift, leaving herself one hour alone between nurses each day. But more of the above in part 2 of the blog post…. This book details the cruel exploitation Huguette received at the hands of the medical staff, lawyers and care givers, all of whom she trusted. Meryl Gordon delves into the psyche of Huguette when she highlights the one traumatic experience of her young life, when at the age of 15, she loses Andree. Gordon writes that, when suffering a bereavement, an individual may regress, and in this case Huguette’s development into adulthood was stunted. 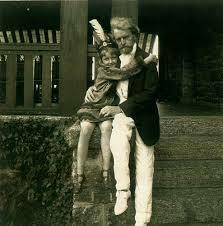 She was also obsessed with the kidnapping of the Lindbergh baby, and this was not an example of acute paranoia. 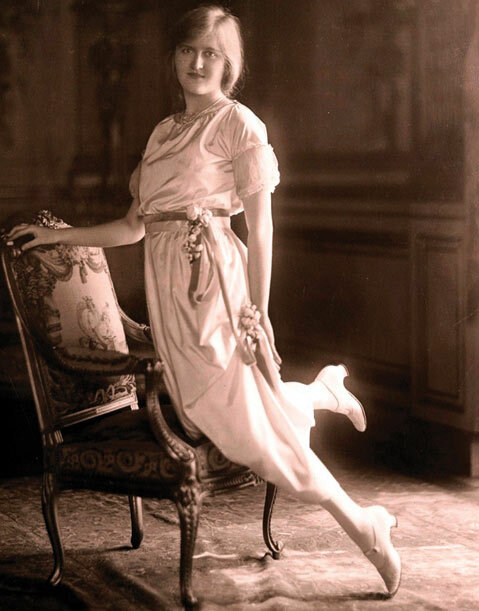 As a young woman, the newspapers often printed that Huguette had a personal fortune of $50 million…it was during the height of the depression when Huguette came out as a debutante and although she lived a sheltered life, she was aware of the hardships and struggles of others. Throughout her life, Huguette was a charitable woman and she scoured newspapers for stories of those down on their luck. Opening her ‘magic’ cheque book, she would write an anonymous, substantial cheque for hundreds of thousands of dollars. So, combined with a fear of kidnapping and armed with a great compassion for others, Huguette’s caregivers manipulated this for their own gain. They would often remind Huguette, who in extreme old age had become even more reclusive, that they could no longer care for her, that their family needed them or that they were running out of money. She’d write a cheque for $5 million (more on this in part 2) and plead with them to stay. It is a sad state of affairs with a poor elderly person is thrown onto the street. It is also a sad state of affairs when a wealthy elderly woman cannot receive the type of care she was paying for. Despite the secrecy surrounding Huguette’s legacy and the unpleasantness of her final years, Meryl Gordon has succeeded in bringing the phantom to life. Part Two will feature Empty Mansions:The Mysterious Life of Huguette Clark and the Spending of a Great American Fortune. I will write about the numerous abandoned mansions Huguette maintained until her death, the scandalous back story of her parents and the battle for her $300 million fortune. I remember once lunching with my mother at Rutland Gate and being somewhat bewildered by the sheer numbers of Mitfords of all ages, all of whom seemed to speak at once! 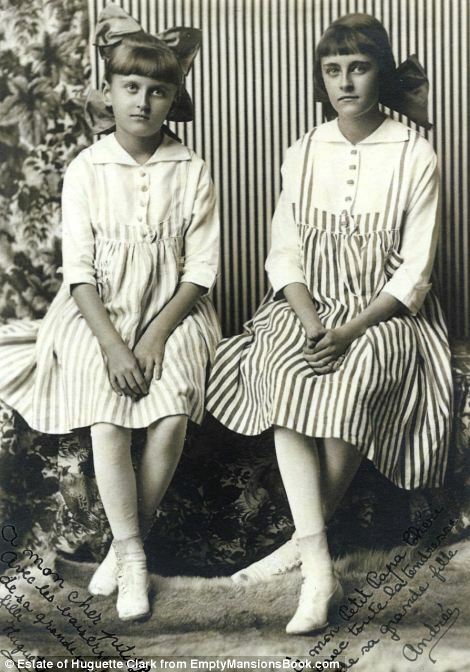 It was sad for me that I was not destined to ‘discover’ my matching-in-age cousins Decca and Debo until over forty years later. – Mary Soames, extracted from A Daughter’s Tale: The Memoir of Winston and Clementine Churchill’s Youngest Child.